Long silver925 chain adorned with fine stones (Apatite).Elegant on simple dress or tank top for a touch of femininity. 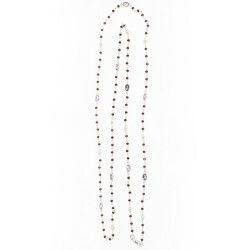 Long silver925 chain adorned with fine stones.Elegant on simple dress or tank top for a touch of femininity. 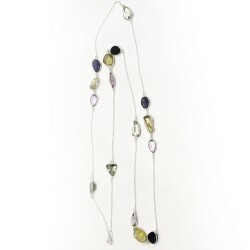 Long silver925 chain adorned with fine stones (Emeralds /Amethysts).Elegant on simple dress or tank top for a touch of femininity. 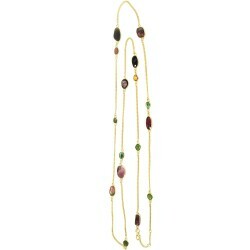 Long silver925 chain (gold color) adorned with fine stones.Elegant on simple dress or tank top for a touch of femininity. Top one shoulder "Empereur Japonais"
Kind of short kimono, not crossed in front. It was worn as a jacket over a long kimono.Each piece is unique and vintage. 100% silk, dry cleaning only. Kind of short kimono, not crossed in front. It was worn as a jacket over a long kimono.Each piece is unique and vintage. 100% silk, dry cleaning.